Why aren't my Navigation Menus being backed up? At this time, Shopify provides us limited access to your store's Navigation Menus, per their current API and permissions. 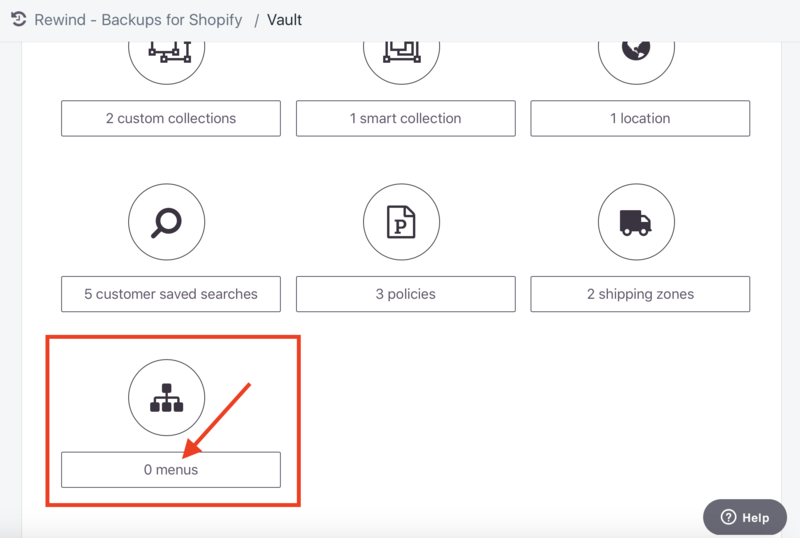 We've found a way to work around this until the time comes that Shopify provides Apps the necessary access to this data - however, this currently requires that your Navigation Menus be viewable to the public (in a live store). This is most likely due to the fact that your store is still in development and/or testing, and is not yet in production. Until your store is live, and your Menus are thus available to the public, Rewind will not be able to access the data required to backup your Navigation Menus.